’New Year, New You’. Isn’t that the craziest thing to say? I don’t get the fascination of creating a new self when we enter the month of January. I’m all for a spruce- and check-up when it comes to getting clear on what you want, how you can serve and how you wish to feel, and I guess some sort of reset in terms of making conscious and (mostly at least) healthy food/lifestyle choices is brilliant. I just feel like when the January cleansing hype hits that the resolutions never last. The media world tells us to create new versions of ourselves and I’m sorry but when is that ever a good idea? What the world want and desperately needs is YOU. All and every aspect of you. If we loose the wierd quirks and seemingly misshaped puzzle pieces we can neither learn nor give what we came here to do/share. A perfect picture based on who you think you’re supposed to be or look like is never as seriously rad and explosively awesome as your real you. Embrace your crazy, it’s what we love and crave the most. Simple as that. Over the years I’ve done juice fasts, obsessive weeks of bikram yoga and loong lists of resolutions and some of it has been good. So good, but when I think back on New Years Eve’s and new beginnings, what I remember the most are not those things. What pops into my mind are more along the lines of crazy dancing with friends, kissing a crush at the strike of midnight, gentle dreams of change, looking at the fireworks with Fabian and then walking back inside to talk about the exciting year to come. Or standing on a remote beach in Thailand, releasing patterns no longer needed and offering flowers to the ocean. All that said, I also think it’s so freaking cool how many are using the powerful transformative collective energy this time of year to step up, change the game and create real difference. It’s all about great intentions and taking small steps every day to bring yourself closer to your deep desires. This year I’m being as real and honest as I can with myself. Gentle curiosity and loving action is best. That’s what moves mountains. Let’s see our dreams clearly, envision their light and just and keep them there. No need for a roadmap, the directions will come to you like sweet nudges or like sudden strikes of thunder. 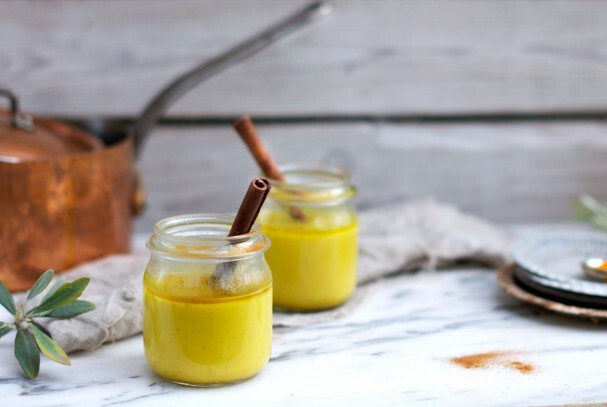 In the meantime, let’s sip some warm Vedic Golden Milk and let it’s powers boost our body and mind in a delicious, kind and soothing sort of way. Here’s an idea: let one of the additions to your life this year be the super medicinal Turmeric (more facts below). You won’t regret it and also, you’ll be so very trendy. Happy 2015, friends. It’s on. It is Oh So On. I was cooking for the first time ever for a whole bunch of groovy yogis at a yoga teacher training and suddenly found myself with a thick paste of turmeric smeared over my finger tip. Why? Well I had just cut my finger (ouch!) and one of the really awesome people around me who later became a dear friend rushed to my rescue with.. turmeric?! My only previous experience with turmeric was as a decoration in my room as a girl. I filled a pretty little glass jar with that yellow powder and it sat in my window sill just looking sunshine-y. So from decor to healing my cut and then later on using it in cooking. Major step. 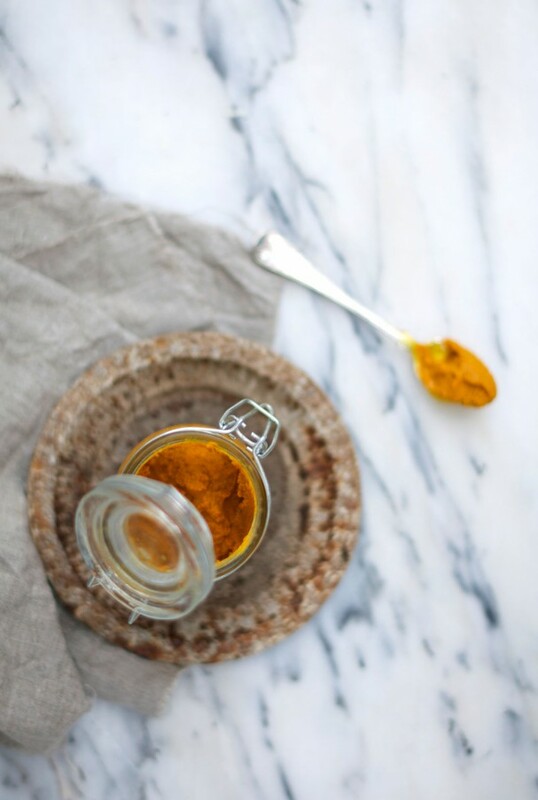 On the outside Turmeric can be used it in the form of a paste (recipe below) as a teeth whitener or ingredient in a face mask to help with eczema-, red spots- or skin pigmentation issues. As previously noted it’s great to put some paste onto minor cuts, scrapes and bruises as it’s very anti-inflammatory, anti parasitic and anti-bacterial. 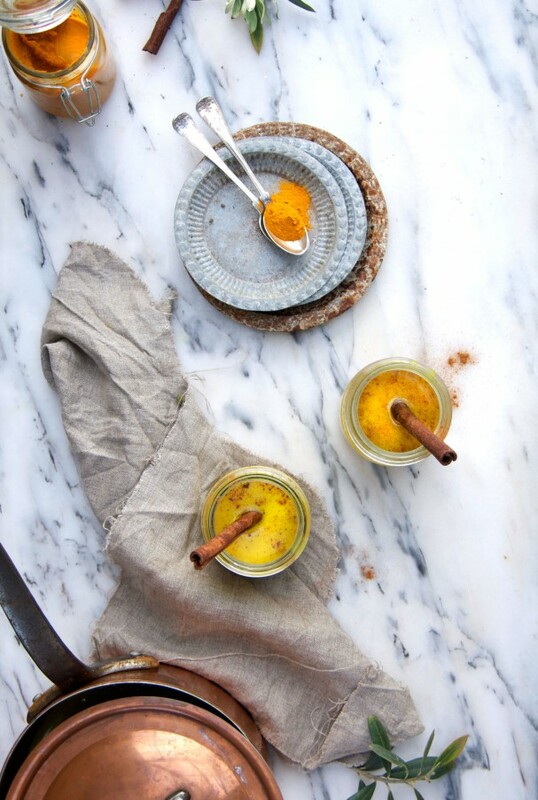 On the inside Turmeric works wonders to support healthy mucus membranes and skin. It is commonly used to relieve joint- and muscle pain and our digestive system gets an incredible support from the Curcumin as well. Because Curcumin is closely linked to relieving inflammation and many health issues and diseases has it’s roots in inflammation turmeric is and have been for years studied intensely for it’s aid in many chronic diseases. Curcumin also cleanses the liver thus letting the liver do it’s job more easily (meaning it will be allowed to detoxify our bodies without being so heavily weighed down by too much work). 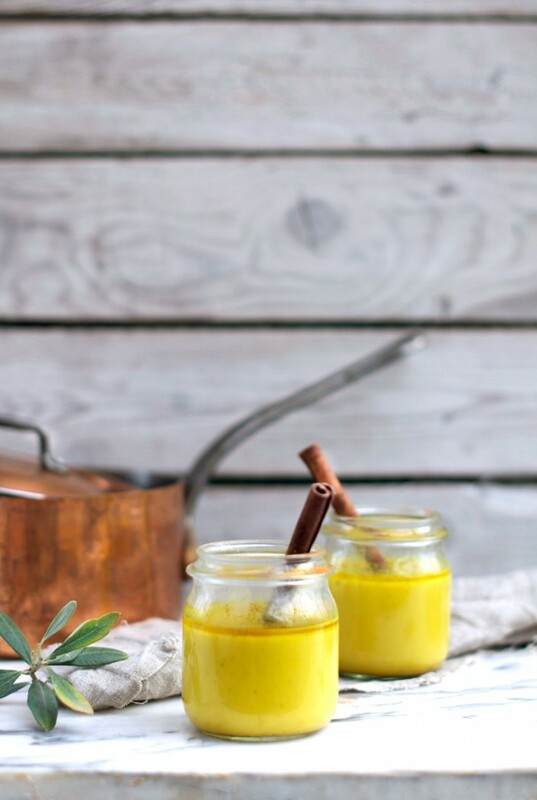 This is a wonderful medicinal treat to make anytime of day. I like it best early in the morning or late at night to help me relax. 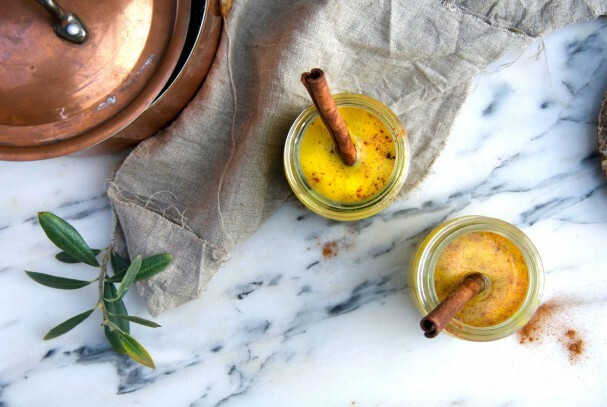 Be mindful when using turmeric as it stains. Like, for real. Do not use white clothes, people. The paste that you are about to make will last two to three weeks in air-tight glass container, if it starts smelling slightly metallic it has gone bad. For other uses of the paste see the ’Fun & Fabulous Facts’-section above. The black pepper and sweetener is optional but the pepper makes the turmeric more bio-available so try it out before judging. 1. 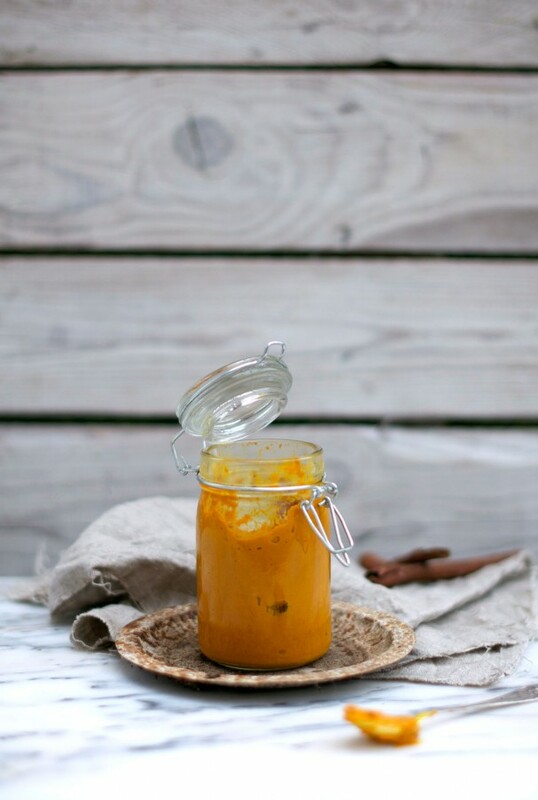 Add water and turmeric powder to a sauce pan and cook until you have a creamy and smooth paste. This will take about 15-20 minutes and the cooking process makes the turmeric taste less bitter. Store in the fridge in a air-tight glass container for 2-3 weeks. 1. 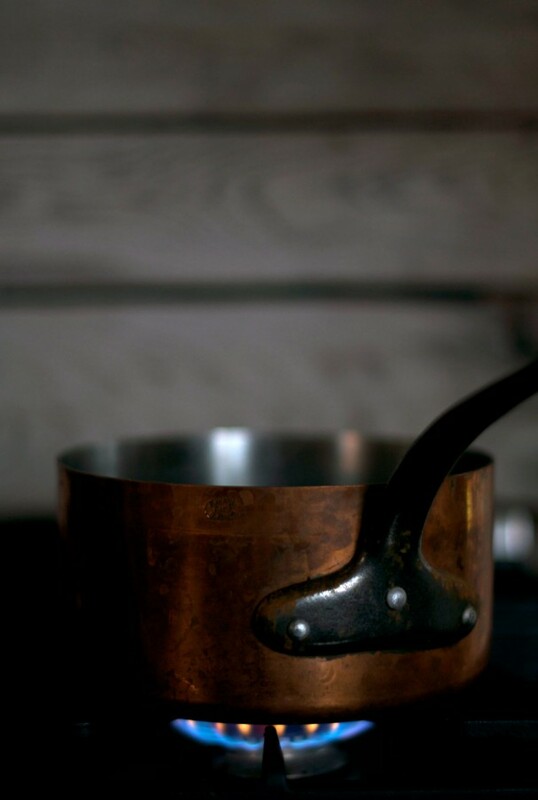 Add oil and cardamom to the sauce pan, cook on medium-high heat until fragrant, about 30 seconds – 1 minute. 2. Add all other ingredients aside from your optional sweetener (especially if you are using honey) and let it warm up over medium heat. Stir in the optional liquid sweetener, pour and enjoy with a cinnamon stick straw or just as it is. Give yourself a little cup of this gentle cleanse every day together with a sensational side of rocking visualization and a moment of gratitude. Small steps, friends. So what’s one good thing you’re adding to your life in 2015? Put it into words in the comments below! Let’s do this thing! ..and hey! Share your creations on Instagram using the #Earthsprout hashtag!